BiographyProf. 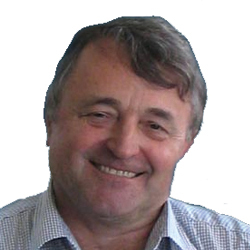 Konecny is the Professor of Cartography and Geoinformatics of the Masaryk University, Brno, Czech Republic. He was/is a Guest Professor of The Chinese University in Hong Kong, The Henan University, Kaifeng, and the Shenzhen University, China, the Vienna University, Austria, the D. Serikbayev East Kazakhstan State Technical University in Ust Kamenogorsk, Kazachstan, and Constantine the Philosopher University of Nitra, Slovakia. Prof. Konecny took the leadership in many international professional bodies, during 2003-7 was President of International Cartographic Association (ICA), and now serves as chairman of ICA Commission on Cartography on Early Warning and Crises Management, the Acting President and the Vice-President of International Society for Digital Earth (ISDE) and Academician and Vice-President of International Eurasian Academy of Science. He is a co-author (with K. Rais) of first GIS book in Europe (1985). He leaded or co-leaded many domestic and international research projects, which are oriented, in last 5 years, for EW and Crises Management challenges and, as well as, geoinfostrategies agenda in Big Data era.